ACCORDING to Jose Ma. Sison, peace during our lifetime is possible. In an interview with The Manila Times, the founding chairman of the Communist Party of the Philippines (CPP), the umbrella organization of the National Democratic Front (NDF) and the New People’s Army (NPA), is hopeful that peace with the government will be achieved sooner or later in spite of a series of reversals. “Kung maganda ang kasunduan and for the benefit of the people, bakit hindi? Kung makukuha sa usapan bakit kailangan pang tumuloy sa pukpukan o santong paspasan? (If we are able to reach a fine agreement and if it’s for the benefit of the people, why not? If we can talk and settle our problems, why do we have to resort to violence and fierce fighting? )” he asked. Sison also said that at the people’s level in his organization back home, they have laid out their views and programs and considered everything, and have reached a degree of understanding about the emergence of the Duterte administration when it started. They have even welcomed the election of then Davao City Mayor Rodrigo Duterte to the presidency, as Duterte’s past experience in cooperating with the Left was “OK” with them. The Manila Times interview with Sison showed that the CCP founding chairman supports the Duterte agenda. He cited Duterte saying he wanted the country to industrialize, create jobs, and for Filipino workers overseas to come and settle back in the Philippines. He agreed that the Filipinos living overseas as OFWs can be given jobs in the Philippines if the country is able to industrialize. According to Sison, the CPP/NDF group is willing to participate in an open, free and honest election under a peace agreement. 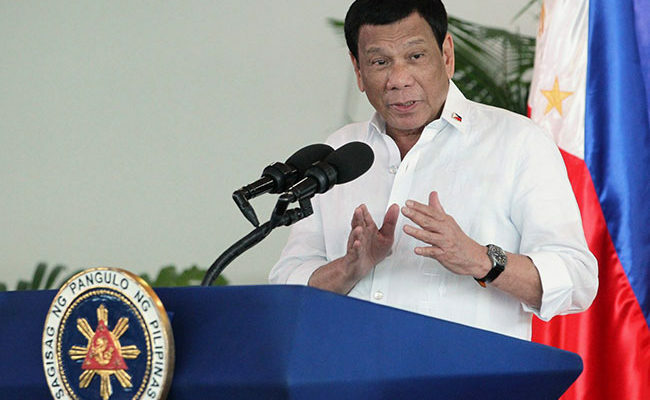 “If the agreement becomes substantial, sabay na reconciliation, mayroon pang explicit agreement, may ceasefire pa (it will have provisions for reconciliation, an explicit agreement, plus a ceasefire),” he said. He also said that the constitutional conditions should allow all parties to compete in the elections, except the fascists. Sison acknowledged that the people want to elect their leaders and that the time is ripe for a federal form of government, as reported by The Manila Times. “Magandang pagkakataon (It is a good opportunity) that Duterte wants a federal form of government. (It’s a) win-win, provided the democratic provisions of the 1987 Constitution are carried over, with the provisions against political dynasty and foreign bases,” he said, also stressing that there must be constitutional reform to make sure the economic programs are carried out. 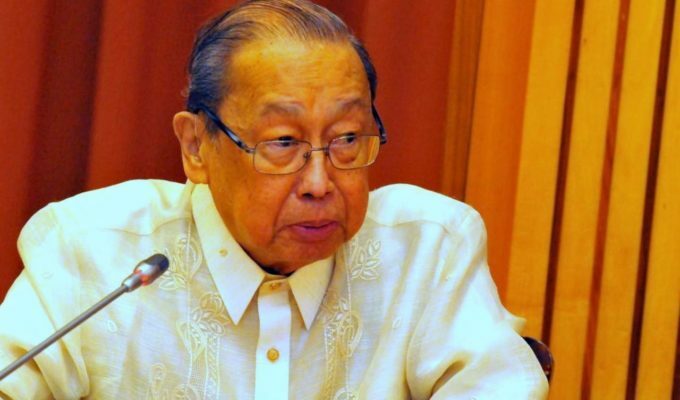 The CCP is willing to help “co-found the federal government of the Philippines,” Sison said, but they were excluded from the framing of the draft of the new Constitution. They were disappointed when they found that they weren’t given five seats out of the 25 members of the ConCom (Constitutional Commission). Sison said once peace is achieved, members of the NPA can be given jobs as environmental guards, industrial guards or security guards. Sison said he doesn’t think the government has money, undermining the government’s capability to pay off all the rebel returnees who would lay down their arms and surrender to the government. He also doesn’t believe that localized peace talks will succeed. He said it doesn’t amount to doesn’t amount to peace negotiations as they do not cover the national issues. According to The Manila Times, the CPP/NDF/NPA would welcome the resumption of the peace talks if the president wanted it. 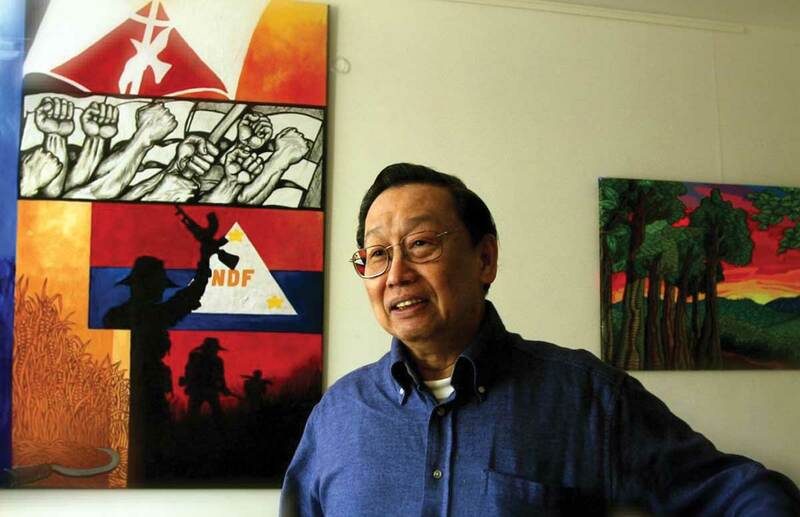 Sison said it is the policy of the NDF to continue the peace negotiations despite his hostile exchanges with President Duterte and the communist group’s bloody confrontations with the Armed Forces of the Philippines and the Philippine National Police. “Wala kaming preconditions (We have no preconditions),” Sison stressed. However, he said that the president has to reaffirm all previous agreements between the Philippine group panel and the CPP/NDF/NPA since 1992. He talked about the difference between now and the first time they met Duterte as Davao City mayor. He said they embraced Duterte’s promise of a general amnesty to release all political prisoners early on as they were reluctant to clash with him. “He showed some flexibility,” Sison said. But then he started calling Duterte a ‘thug’ when the peace talks were terminated and the word war between them escalated. He said it is now up to the president to continue the peace negotiations. They are open to holding talks with Duterte, he added. The NPAs, however, are not willing to lay down their arms as a prelude to lasting peace. Sison said the NPA is a revolutionary force and the only way to achieving peace is to satisfy the people’s demand for social and economic reform. 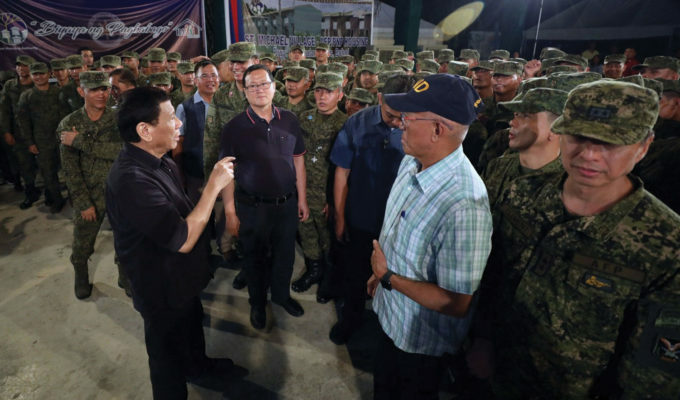 He told The Manila Times he is willing to come to the Philippines from his Utrecht base to sit down with the president face-to-face when the conditions obtaining are favorable. “At a certain point in time when the end of hostilities [is at hand] at pag naayos na ang (and when the) comprehensive agreement on social and economic reform is all ironed out, I will come to the Philippines very confidently,” Sison said. “I have to heed the advice of my lawyer and Congress on whether it is legal and the security arrangements are ensured,” he added.